Reflection is the heart of becoming an empowered and collaborative learner that continuously improves and quickly adapts to a fast changing world. But, they can be more engaging and easier to use. We have designed 10 reflections for you that are visible, fun, and evokes different perspectives. They can be used for individual, group, or whole school reflection. 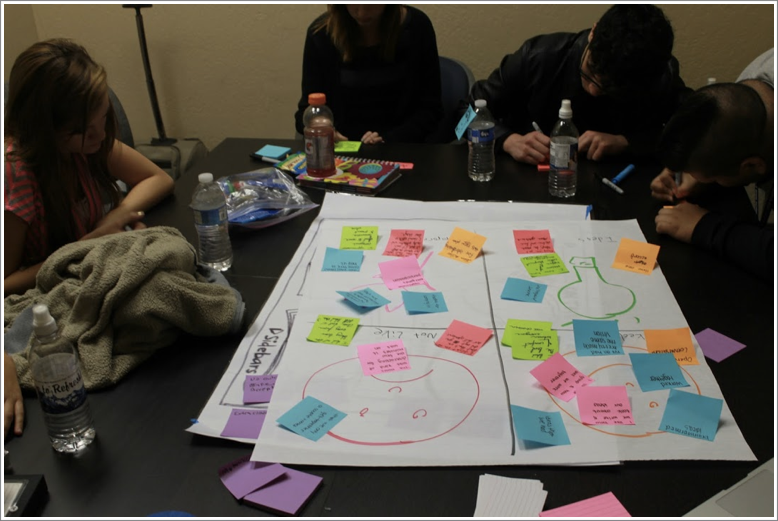 In Agile Classrooms, reflection occurs at the end of the Learning Rhythm: Plan, Daily Check-In, Review, and Reflect; repeating every 1-4 weeks. But, you can use these on their own at anytime. You can use these for individuals, group, and/or whole classroom reflections. 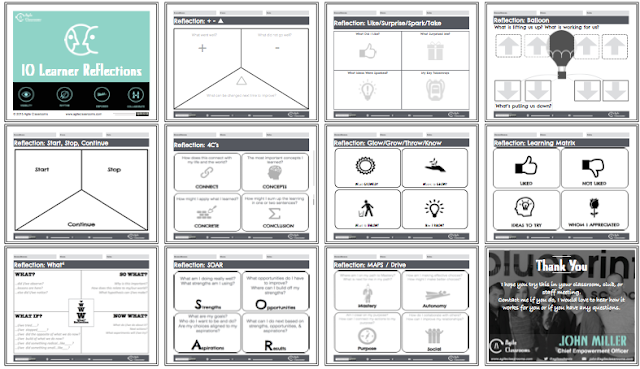 Download the 10 Reflections for Agile Learners here and enjoy, our gift to you. Oh, here is one way run a Reflection as a group. Again great work collection on reflections. The variaty is also very important! So you dit it! Of course I use your reflections. If you want any changes on these, let me know. For example, I debated if I should leave the reflection blank, without the question prompts, so you or students can write in your own.